An atmosphere of pride and excitement prevails in the campus as we prepare to celebrate the achievements and successes of INLEADers through the Convocation Ceremony. Scheduled on 6th April 2012, the graduating class of 2010 will be awarded PG Diploma Certificates on 6th April in the ceremony. 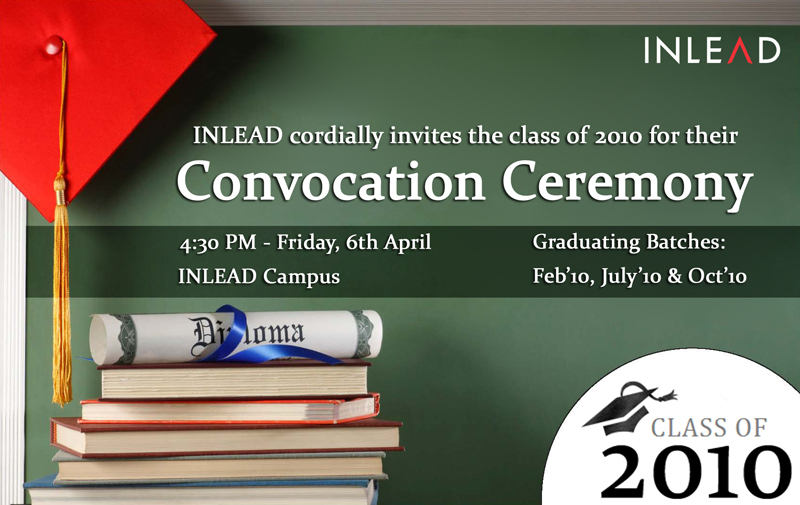 The Convocation Ceremony will commence at 4:30 in the evening in the evening, at 4:30 PM, the ceremony will honour special accomplishment of select INLEADers from the class of 2010. INLEAD’s strong alumni base is spread across diverse sectors and is playing a crucial role in shaping the business landscape of new age economy. It has been a privilege and honour to have helped shape some of the brightest young talent in the country and we hope that the successful alumni will be the ideal role-models for the present and future students. We also hope to maintain and fortify a lasting association that extends beyond the campus and believe that the INLEADers will play a responsible role in shaping the country’s future.